Metalformers expect little change in business conditions during the next three months, according to the March 2018 Precision Metalforming Association (PMA) Business Conditions Report, which surveyed 123 metalforming companies in the United States and Canada, prior to the government's announced 25-percent and 10-percent tariffs on steel and aluminum earlier this month. Forty-nine percent of participants forecast an improvement in economic activity during the next three months (down from last month's 48 percent), 45 percent expect no change (down from 49 percent in February) and 6 percent anticipate a decline in activity (down from 3 percent). 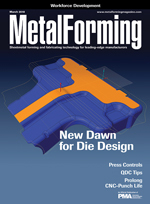 Metalforming companies also anticipate steady incoming orders during the next three months, with 54 percent predicting an increase in orders (compared to 53 percent in February), 39 percent expecting no change in orders (compared to 45 percent in February), and 7 percent forecasting a decrease in orders (up from 2 percent in February). 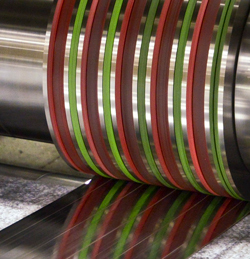 The percentage of metalforming companies with a portion of their workforce on short time or layoff dropped to 3 percent in March, down from 4 percent in February. This figure is much better than March 2017, when 9 percent of companies reported workers on short time or layoff. Indiana University Purdue University-Indianapolis has announced the launching of the IU Kelley School Center for Excellence in Manufacturing. Associate professor Mark Frohlich says that the school has seen an uptick in students interested in manufacturing, adding that Rolls-Royce is investing nearly $600 million in advanced manufacturing in Indianapolis. "Manufacturing is extremely important for the economy and for jobs in this state," says senior Kent Craig, who is studying supply-chain management. 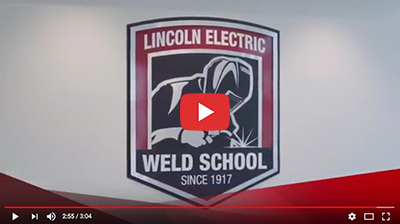 Lincoln Electric, Cleveland, OH, unveiled last week its new welding technology and training center with 166 welding and cutting booths, 10 virtual-reality trainers, six seminar rooms, 13 classrooms and a 100-seat auditorium. Check it out. Participate in the conference designed for users, by users. Get ready for the biggest and best AMUG Conference ever. There will be more users at the event and more technologies represented. With AMUG's expanded scope, expert, intermediate and novice users of all commercial additive manufacturing technologies are welcome. Join us from April 8 – 12, 2018, in St. Louis, Missouri, to learn, exchange ideas and build your professional network. What applications make the best fit for using 3D-printed jigs and fixtures. 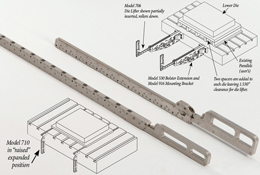 The design basics associated with jig and fixture development. Best practices for designing 3D-printed fixtures. There's no let-up in initiatives for these companies. Or is it time for some revisions? 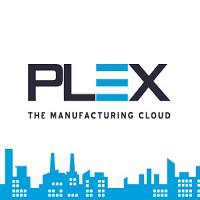 See also: PFA, Inc., Heyco Metals, Inc., AutoForm Engineering Gmbh, Plex Systems Inc.